Find your Christmas decoration style + 8 recipes of Christmas drinks and cakes! The launch of the Holidays' festivities in Europe is usually the first Advent, which this year is the 29th of November! So that time is just around the corner. Some families will only decorate with accessories and ornaments at the beginning and wait until late in December to dress up the Christmas tree, while others will display everything right at the beginning of December. In any case, stores and shops are ready for the festive season and are full of glitter, so you cannot avoid thinking about it at all! Find your Christmas decoration style by taking a look at these different examples, and tell me which one you fancy! I already have to warn you that this post includes a LOT of pictures, so just find a comfy seat and grab a cuppa. ​How beautiful are these handmade place cards by sayyes.com? ​Your favorite Christmas drink is mulled apple cider. ​That's your kind of table top! You can't resist gingerbread cake! Get the recipe here! A silver candelabra will glam up a table centrepiece. 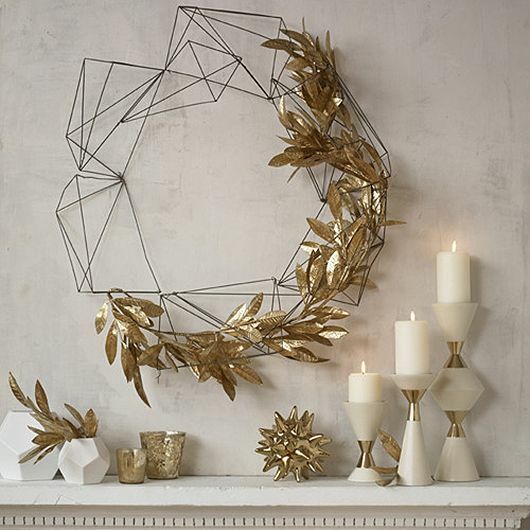 This one is from West Elm, but you could easily make your own version of it! ​The Black Forest Mousse cake by Sweetgastronomy looks pretty damn good! ​The one and only mulled wine or GLØGG. Whew! You are still here! Those were a lot of pictures! Tell me, which style do you tend to embrace? I am more familiar with the Scandinavian style, which isn't a surprise as I have been living here for over two decades!